How to make an impression on long-time, been-there-done-that customers. Every Tuesday and Friday, an amazing “wartime Paris meets Bourbon Street” band called The Hot Sardines plays at The Top of The Standard in NYC’s meatpacking district. Along with an ever-growing base of adoring fans, I’ve sat through several of their performances and can sing along with most of their songs. I know when they’re about to sing a capella, when the washboard is making an appearance, when Miss Elizabeth is going to sing in French, and when the tap dancer is preparing to do something amazing. So…I love them with passion…but I can enjoy them on autopilot. Your eyes are not deceiving you. 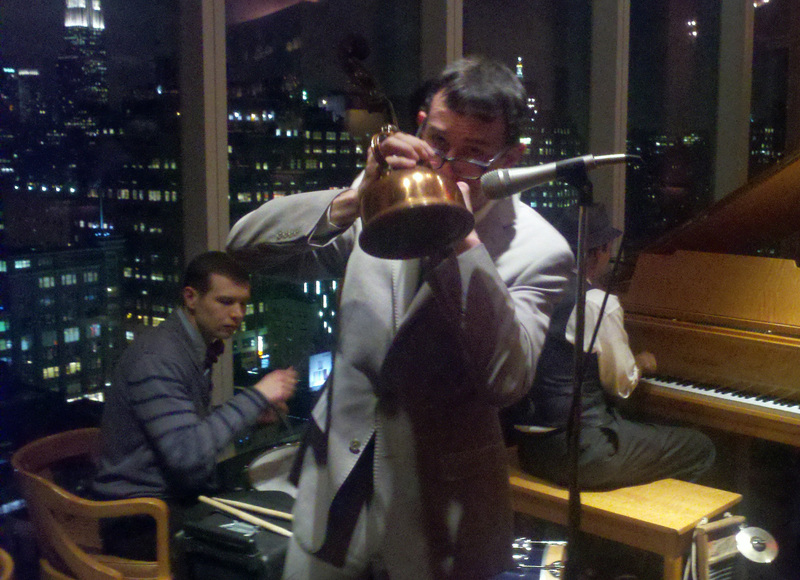 He is playing a tea kettle. And every single person in the room was captivated…even us veteran fans. Mr. Tea Kettle just proved a very important marketing point: you don’t need to spend a lot of money to break through the comfort zone that develops when long-time customers become “used to you.” You CAN spend money to do it, but sometimes, a little creativity is all that’s needed to keep it fresh. Last year, MAC Cosmetics launched a “Wonder Woman” collection, and the inside of every Mac store paid highly visible homage to the stunning superhero with larger-than-life cutouts, comic books, promotional displays and more. But how to lure people in there to see all the goodies? 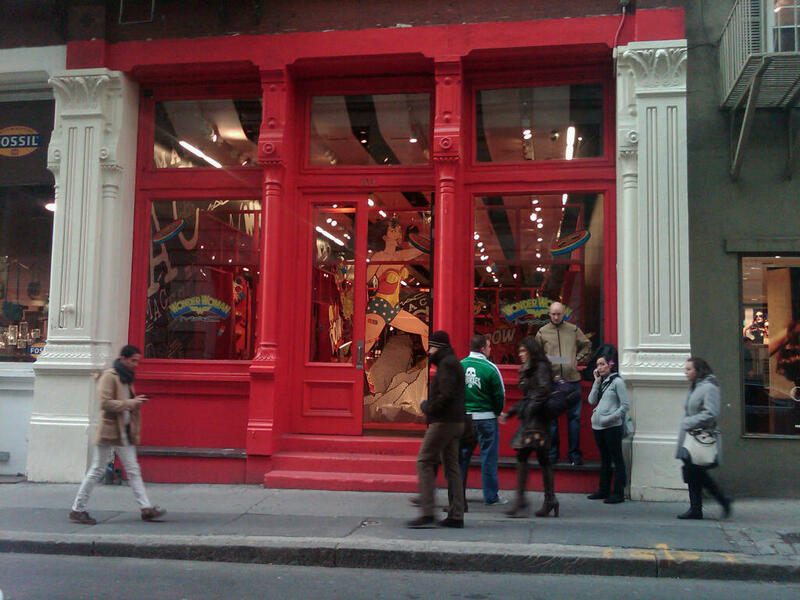 The Soho store on Spring Street in NYC did something unusual: they painted the outside of the store a bright fire engine red. Think about it…I’m not sure it made a difference to the tourists (who don’t know what the exterior of the store usually looks like) but for all those “sheep” that walk up and down Spring Street each day without giving a thought to their surroundings…that red building was brightly colored lure that drew the eye like a magnet. 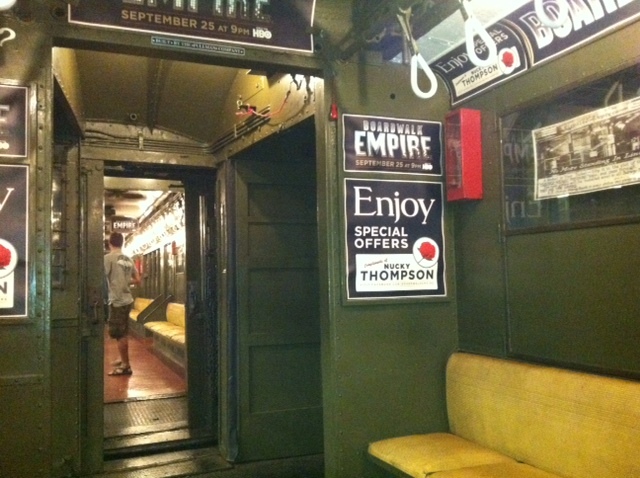 For those readers not from NYC…I assure you…today’s subway cars look NOTHING like this. I’m reminded of the childhood game Duck, Duck, Goose. Think about the mindset of a customer walking in the door. They just spent the whole day (week…month…year…) opening doors with “normal” doorknobs. 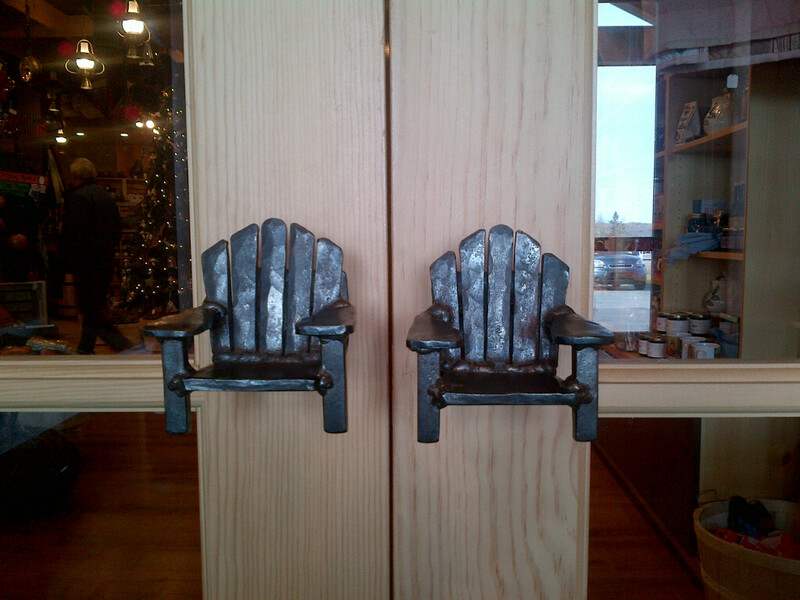 So…normal, normal, normal…small wrought iron Adirondack chair? Definitely noticeable. It’s actually quite easy – and often inexpensive – to do tasteful things that will impress your loyal customers. You just have to put a little love into your thought process and remember that if you don’t continue to woo them…they may be wooed elsewhere. A sad but true fact in the marketing world. 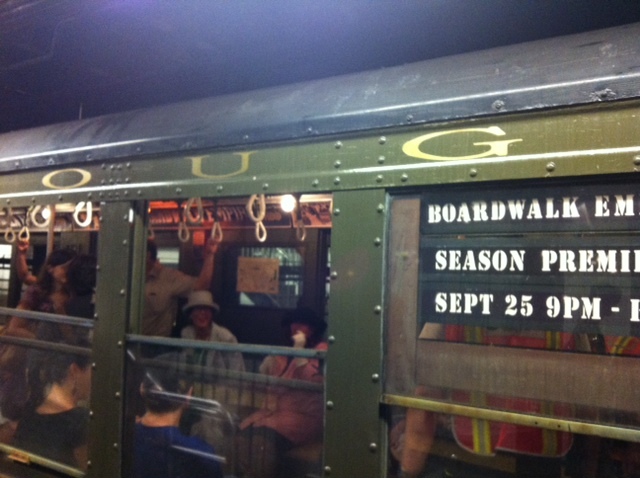 And in that random way that concepts sometimes collide unexpectedly…what do you get when you cross The Hot Sardines with the vintage subway cars used to promote Boardwalk Empire? You get a KILLER concert. Check out the 1 minute and 30 second clip by clicking here. Hmmmm. 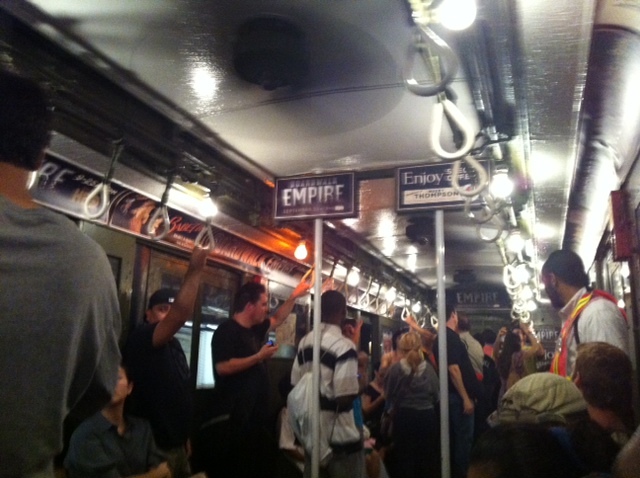 Attention Boardwalk Empire marketing people…when you’re ready to promote the next season, give the Hot Sardines and their tea kettle a call. They’ll take your subway car to the next level…because even though you only did it once, that sucker is already in the been-there-done-that bucket. Redpoint is a marketing PR firm based in NYC that helps clients make strong positive impressions on even the most desensitized of journalists. And…we LOVE The Hot Sardines.